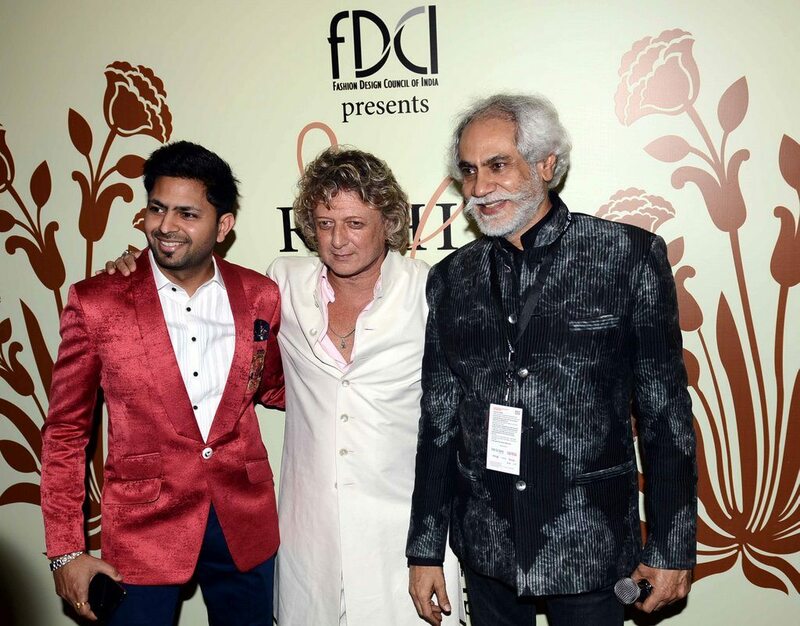 Rohit Bal displays his Indian couture with a contemporary touch. 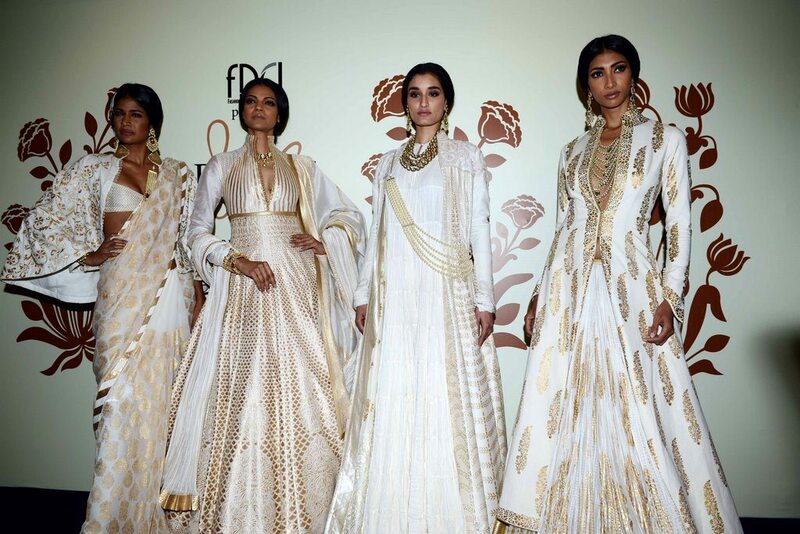 Indian fashion designer Rohit Bal showcased his ‘Ivory Collection’ – a series of Indian inspired traditional couture wear – at the ongoing India Couture Week in New Delhi on July 17, 2014. 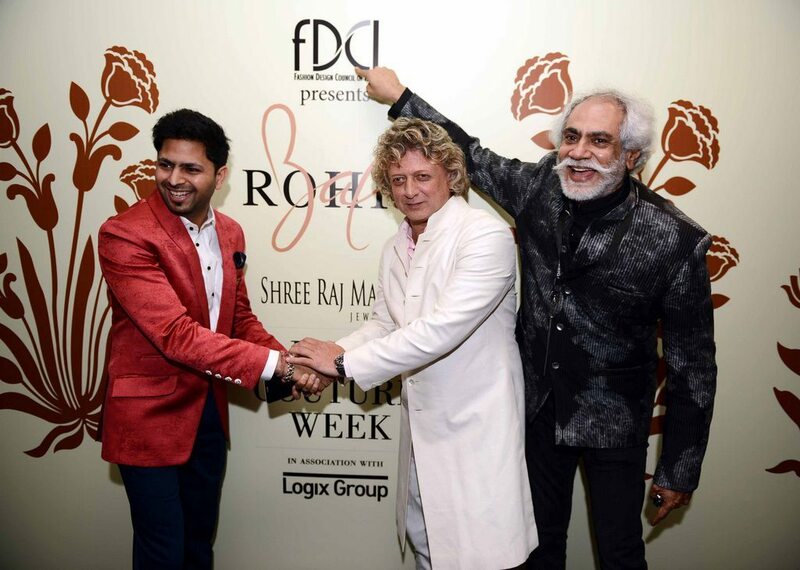 Rohit explained that he wanted the jewellery to be noticed and that it was a very important part of his line. The Delhi based designer has many flagship stores across Delhi, Mumbai, Bangalore, Kolkata, Chennai and Ahmedabad. Bal has also ventured in to jewellery designing. 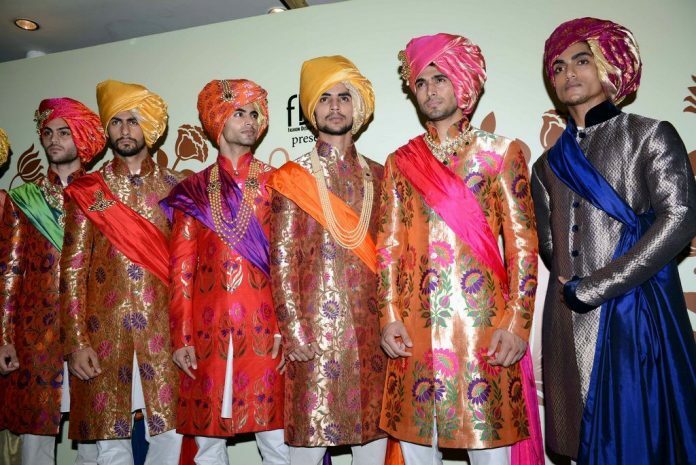 Apart from Indian celebrities, the designer has also dressed some of Hollywood’s most iconic beauties like Anna Kournikova, Uma Thurman, Cindy Crawford, Pamela Anderson and Naomi Campbell.